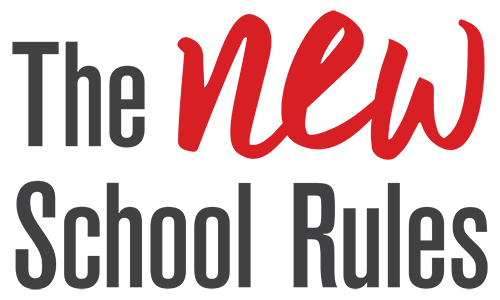 I was recently introduced to The NEW School Rules book on a webinar with co-author Anthony Kim. After learning about the book, I decided to dig into Chapter 1 Planning: Plan For Change, Not Perfection and Chapter 2 Teaming: Build Trust and Allow Authority To Spread. As I read, I found myself looking through a distributed leadership lens, starting with the question: How do superintendents bring innovation into their district while balancing the pressures for high levels of accountability for student success, as well as the maintenance of a professional learning environment for their teachers? Like most of the nation and, in particular, like many urban districts, Miami-Dade County Public Schools focuses a lot of energy and considerable resources on recruiting and retaining the best teachers. In fact, in some years we have recruited and hired between 700 to 1,000 teachers. We also recognize that the needs and expected experiences of the workforce of tomorrow is changing and therefore we must also change what we do to meet their needs, both in how we recruit and retain teachers. This is challenging. In high functioning schools and systems, leaders play four important roles: governance, operations, community building, and change leadership. As El Paso superintendent Juan Cabrera and I discussed in a recent post, each of these these roles can feel like a full time job. Just maintaining the status quo (governance and operations) are complex and politically charged roles. Mobilizing collective community action to better support youth and families can be an enormous lift -- and school leaders almost always have a role in making it happen. Is Consensus a Four Letter Word in Decision Making? Now that my book is being published, I wanted to reshare this post which originally appeared in the Thoughtful Org blog. It answers a perennial question I encounter -- "How can we get away from using consensus as a default for all decisions?" There are many avenues you can take when making change in your organization. Change can be made at the structural level by redesigning the way teams are organized. Change can be made at the team level by refining the way collaboration happens. Change can be made at the individual level by evolving personal habits and practices. How many of you have been on a team where one person carries the bulk of the work? One where teammates spend hours fighting for control of decisions and resources? One where nobody claims responsibility for the failure of a project? This confusion over roles, conflict over authority, and lack of accountability is unfortunately all too common.